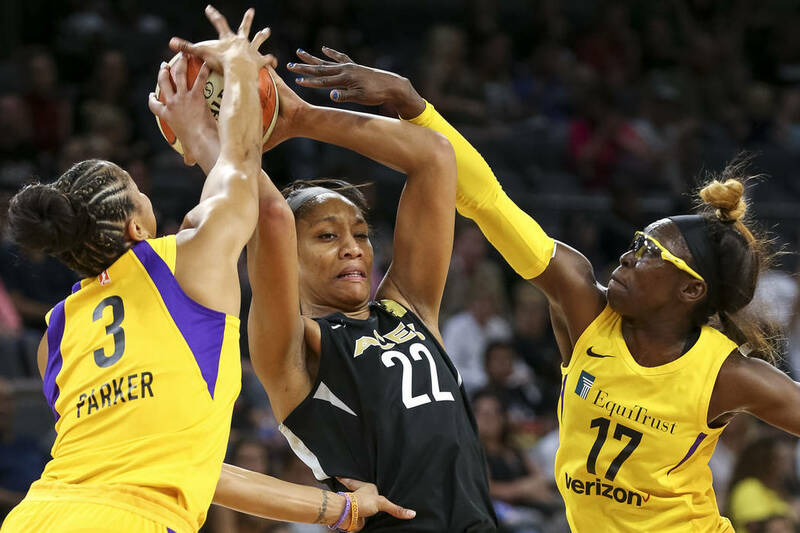 Over a team that started the night as the best in the WNBA. 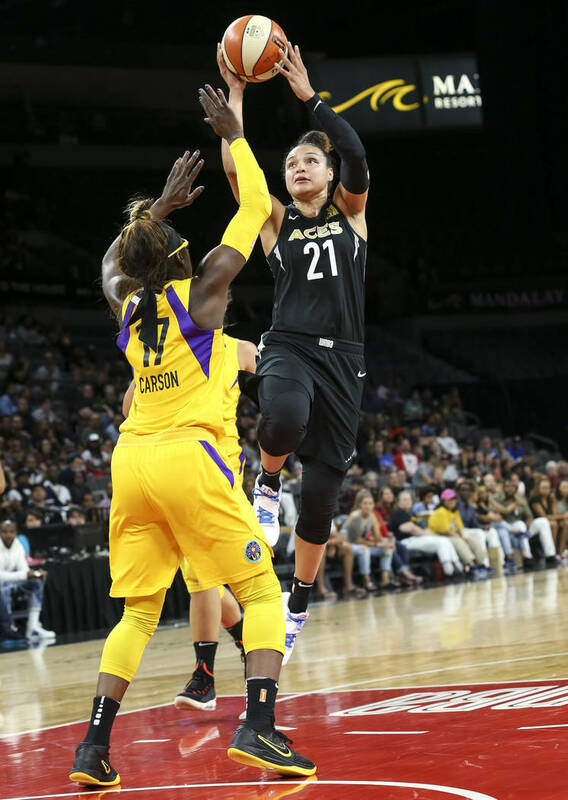 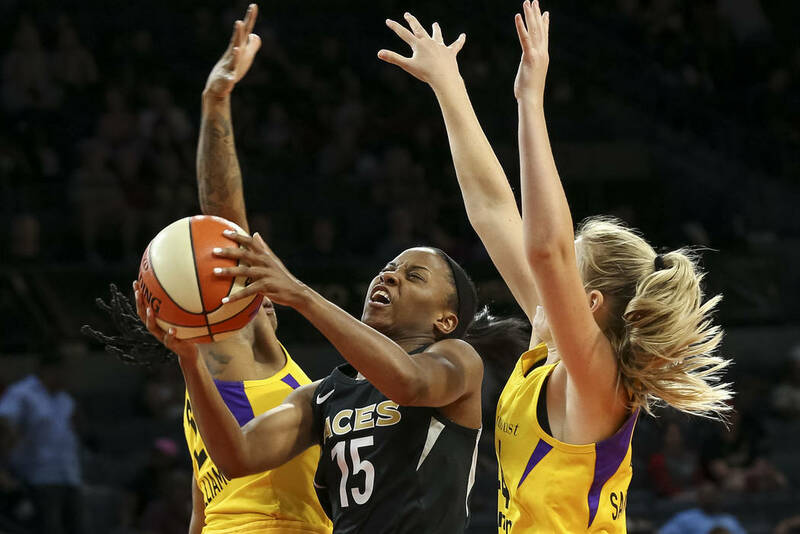 The Aces (6-11) played with passion, pace and purpose in a signature 94-78 victory over the Sparks (11-5). 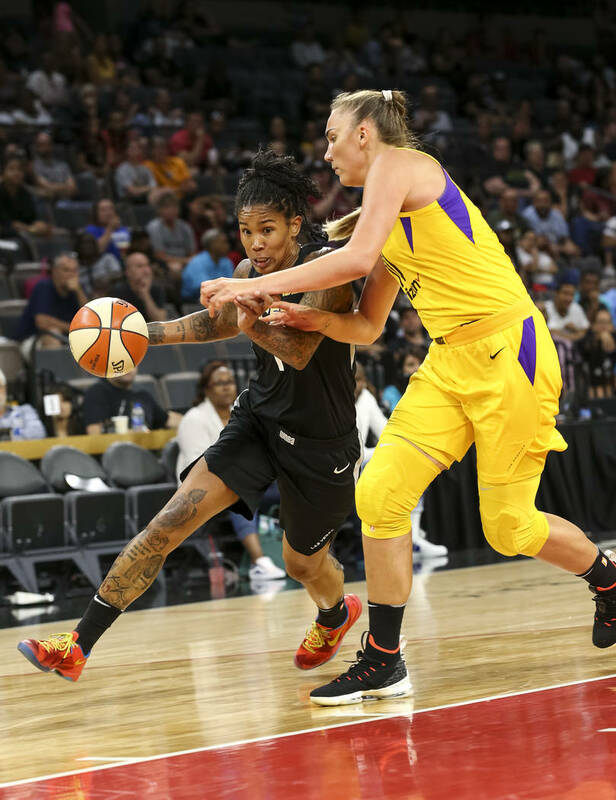 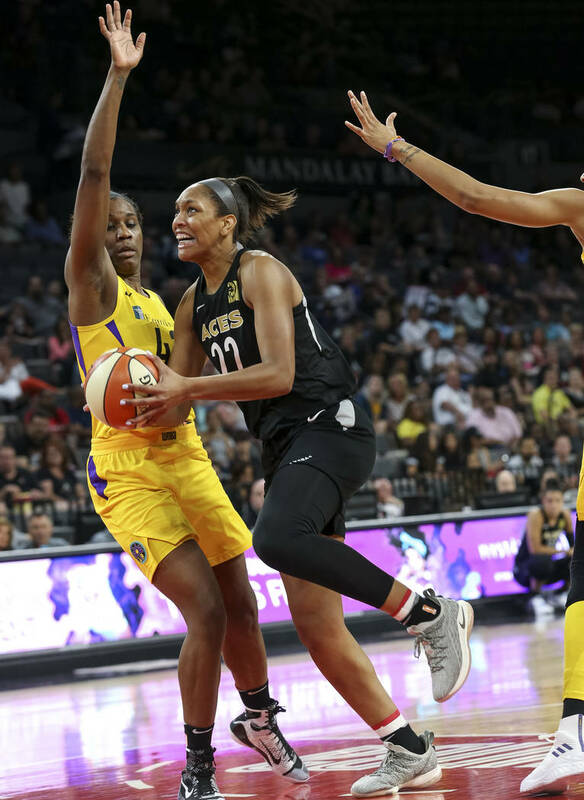 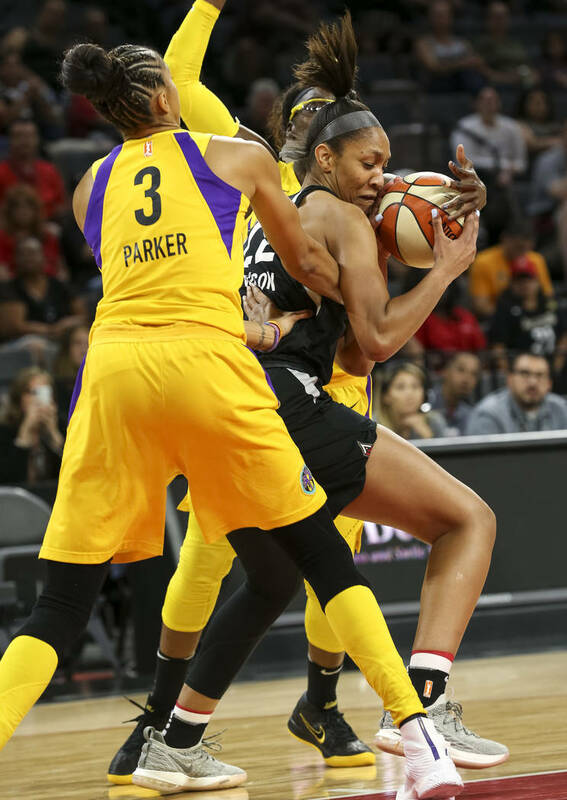 Rookie phenom A’ja Wilson had a game-high 29 points and nine rebounds against her childhood idol, forward Candace Parker. 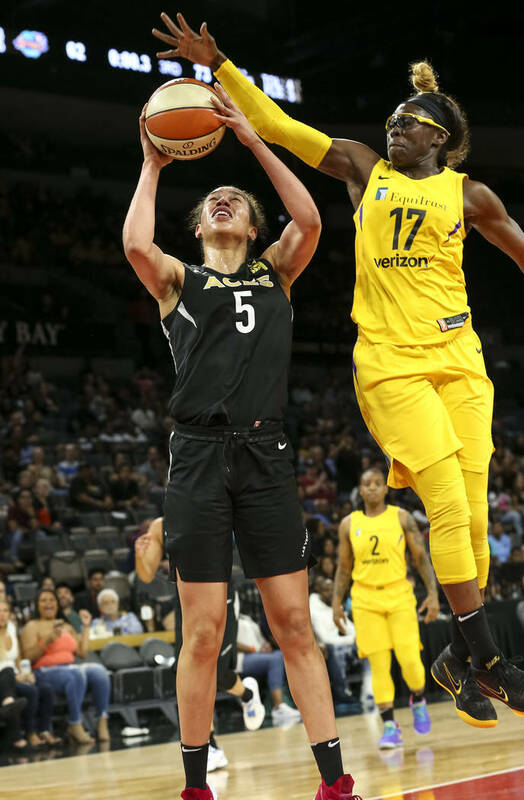 The arena roared like never before. 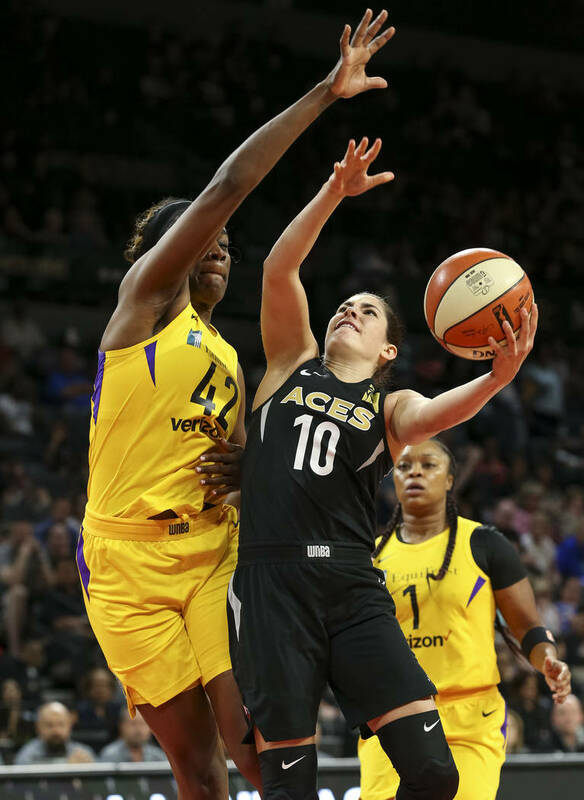 Even as the Aces have struggled through some disappointing losses, Wilson, Plum and Kayla McBride were among the players who insisted their squad was close to a major breakthrough. 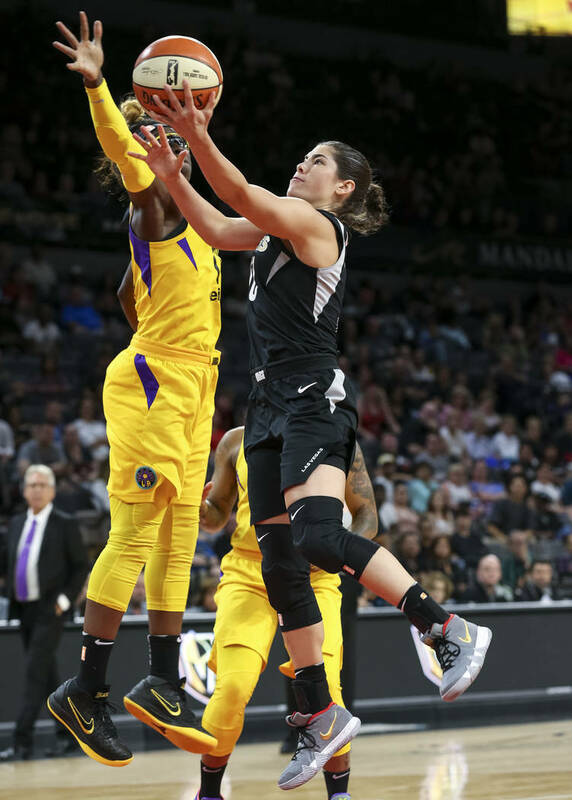 Amid the losing they didn’t lose hope. 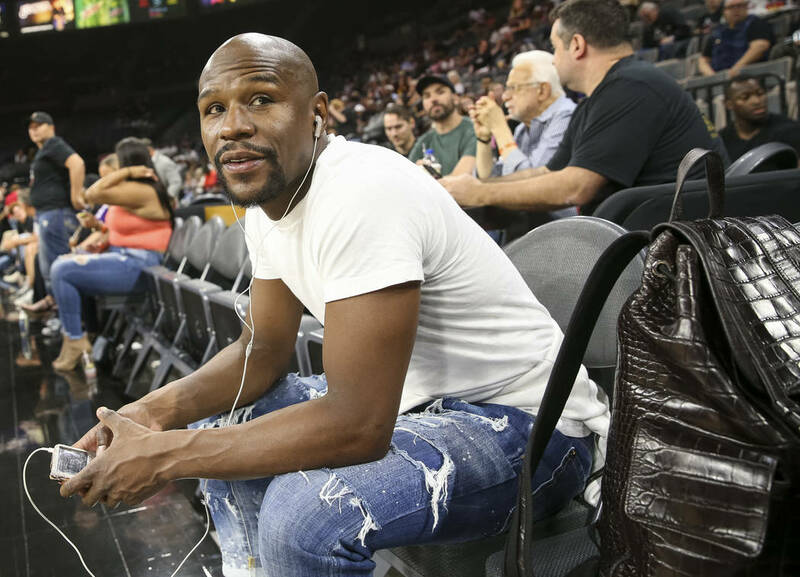 Not publicly anyway. 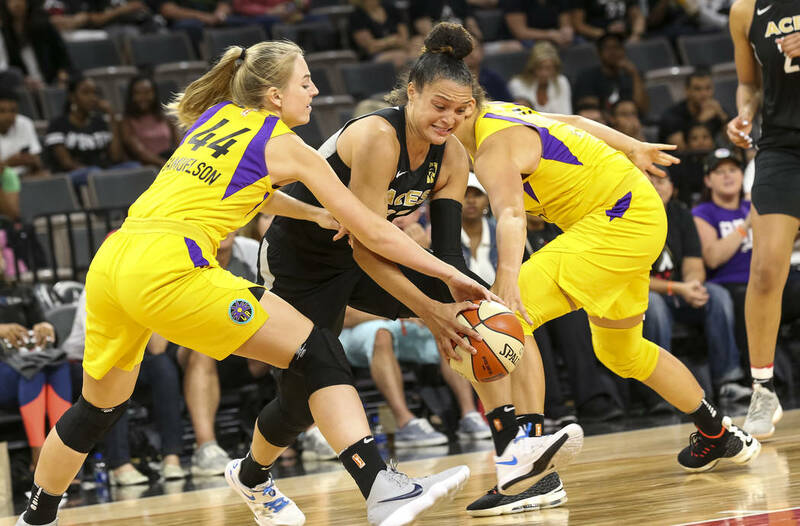 They surrendered a 10-2 run in the first two minutes but inched their way back with a flurry of stops and scores. 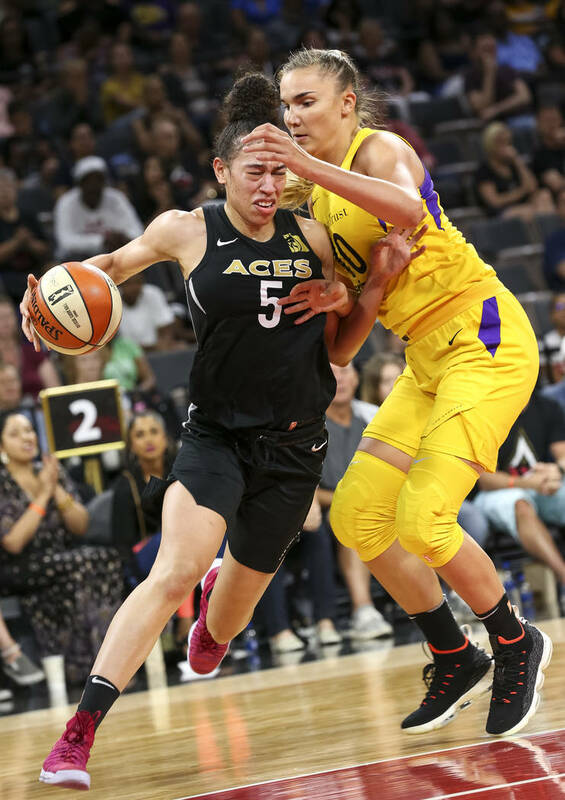 That early eight-point deficit eventually swelled to a 17-point lead because the Aces played harder and smarter than their championship-caliber counterparts. 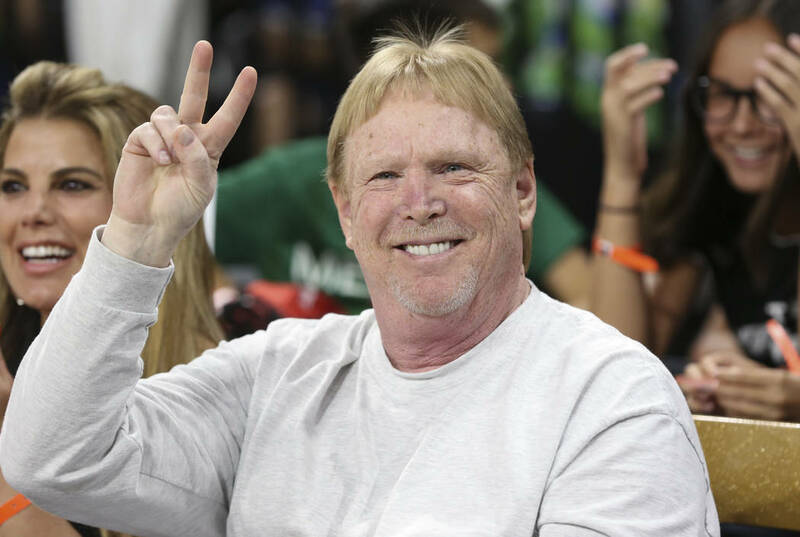 Oh, and because they have Wilson. 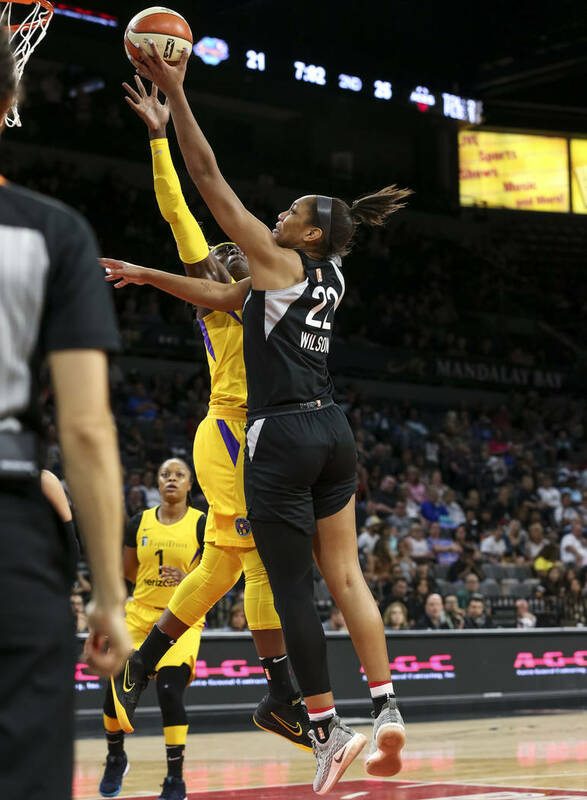 She missed five of her first seven shots but stayed aggressive against what usually is an effective Sparks’ defense — ranked third-best in the league. 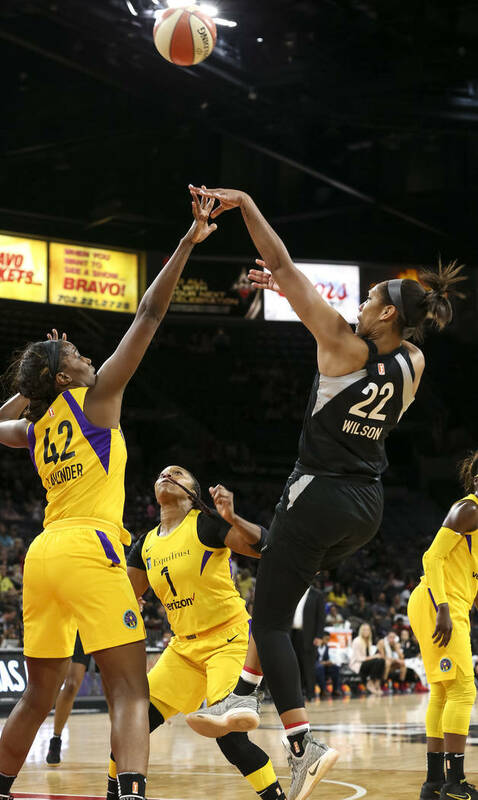 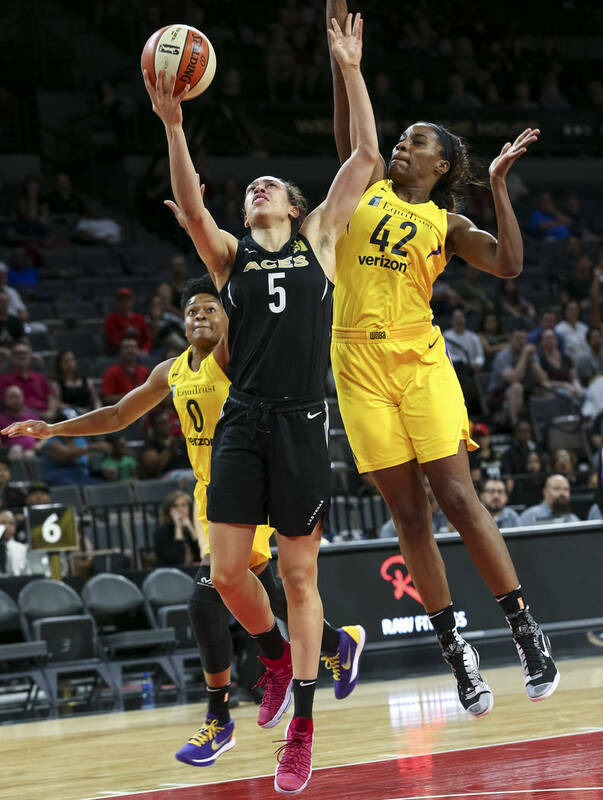 Wilson dominated the second half, scoring every which way against any and every Sparks defender — including Parker, who had seven points on 3-for-11 shooting. 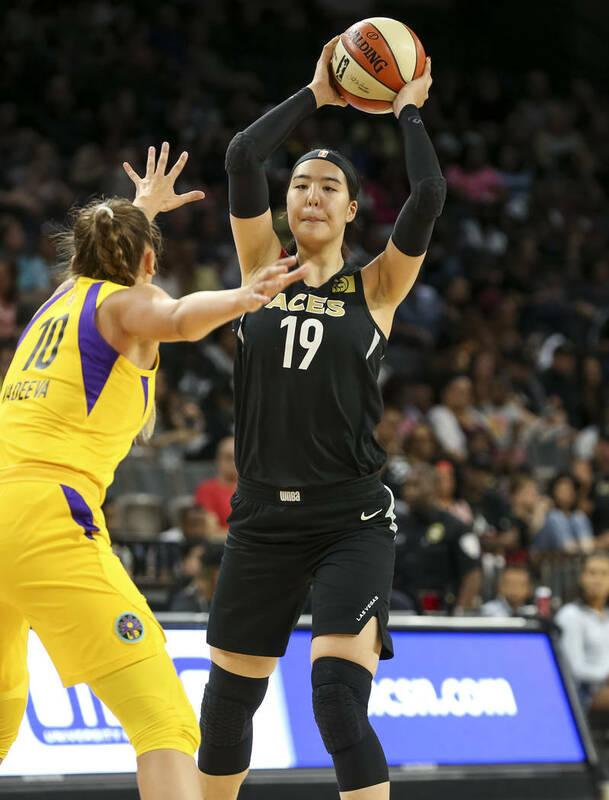 Point guard Plum controlled the tempo, finishing with 14 points, nine rebounds and five assists. 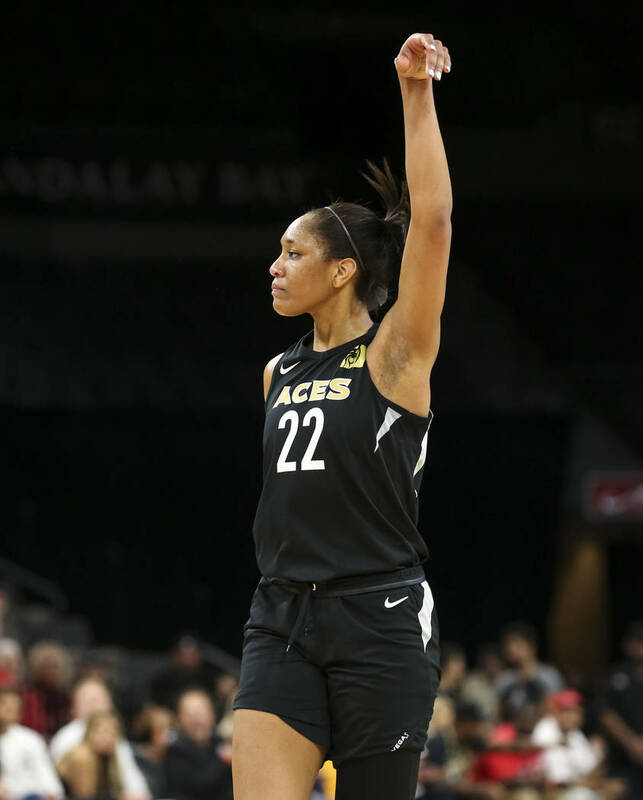 Dearica Hamby had 13 points, five rebounds and four assists, and McBride scored 12 to go with seven rebounds. 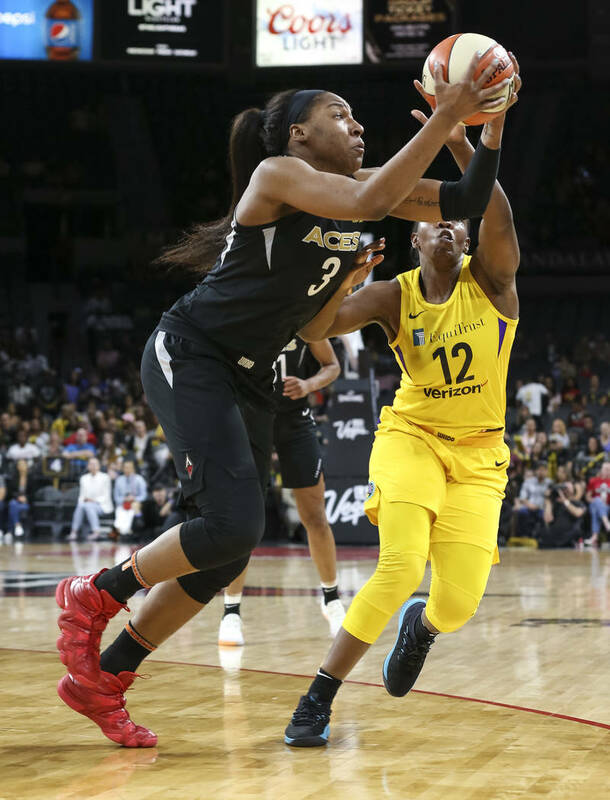 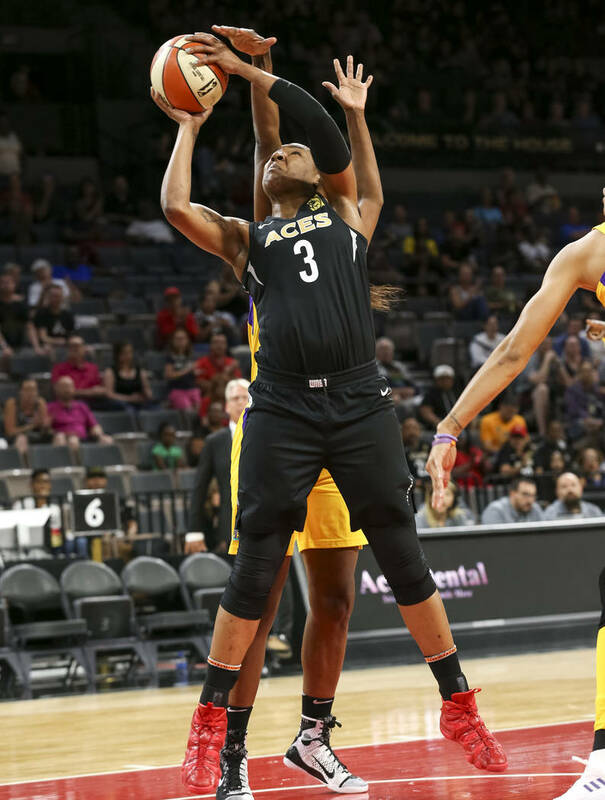 Chelsea Gray had 22 points for Los Angeles, which, on the second night of a back-to-back, shot 39.7 percent and 58.3 percent from the free-throw line. 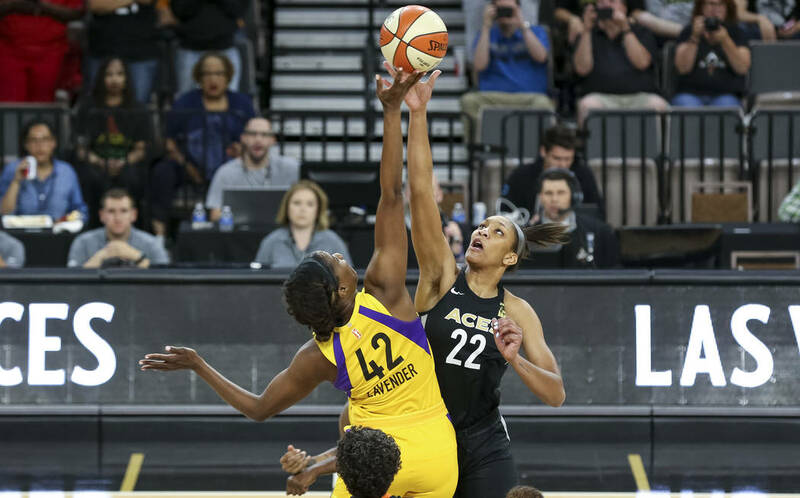 The Sparks looked tired, especially in the second half, and the Aces took advantage. 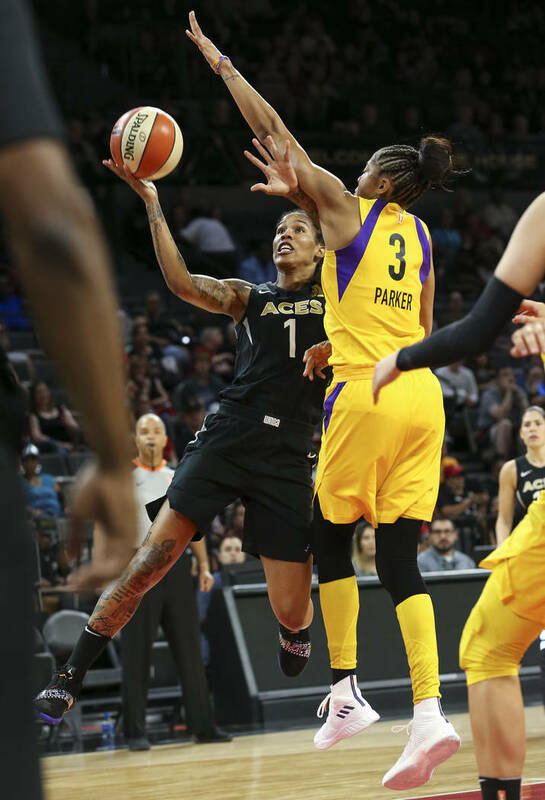 The Aces concluded their four-game homestand 2-2 will travel to Los Angeles to play the Sparks again on Sunday. 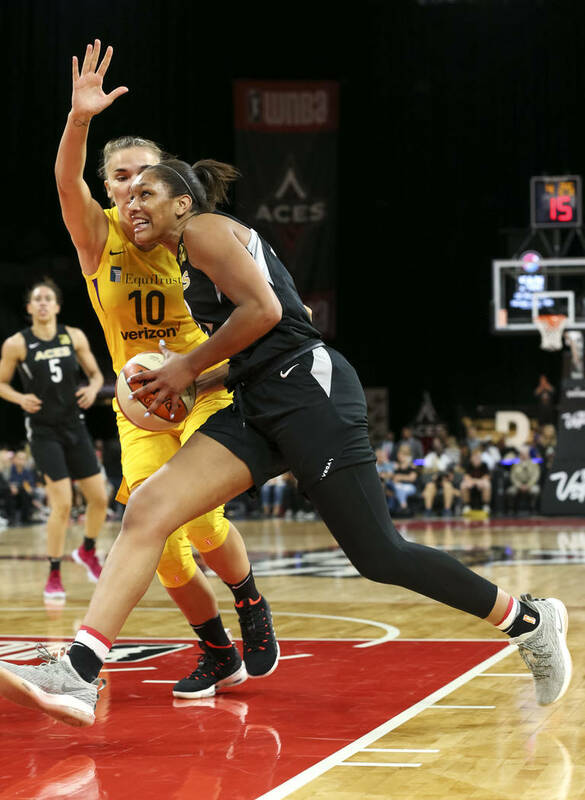 Coach Bill Laimbeer expects a more competitive game, but was pleased with the steps the Aces took Friday night.